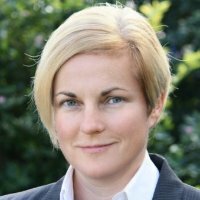 Juanita Lovatt is the Managing Director of Lovatt Legal Pty Ltd, a boutique law firm dedicated to helping clients with business risk management, employment law, people management, industrial relations, work health and safety, strategy and compliance. Juanita is sought after by boards, executive teams and individual officers, for her pragmatic and practical advice on people strategy and management, directors and officers’ WHS duties, risk management, and compliance. As an experienced operations executive, Juanita influenced national developments in workplace and safety law, the modernisation of regulatory approaches, and positive government-business relationships. She is also an experienced consultant, trainer and speaker and has delivered tailored and compliant training across industries including education, wine, mining and resources, administration and professional services, child care, government, transport, and regulatory. Juanita has been a board member for over 15 years. Her directorships have included a successful start-up tech company, a child care centre and ELC, a community services provider, and a disability care organisation. Juanita’s legal practice is a Gold Alliance member of the Law Society of South Australia, she holds a Certificate IV in Training and Assessment, and is actively involved in professional networks. Juanita is a contributor to our Boardroom Bootcamp course for the topic Governance: Risk Management. Contact Juanita via her website or LinkedIn.